Interstitial lung disease. Coloured computed tomography (CT) scans of axial sections through the chest of a 68-year-old patient with interstitial lung disease (diffuse parenchymal lung disease, DPLD). 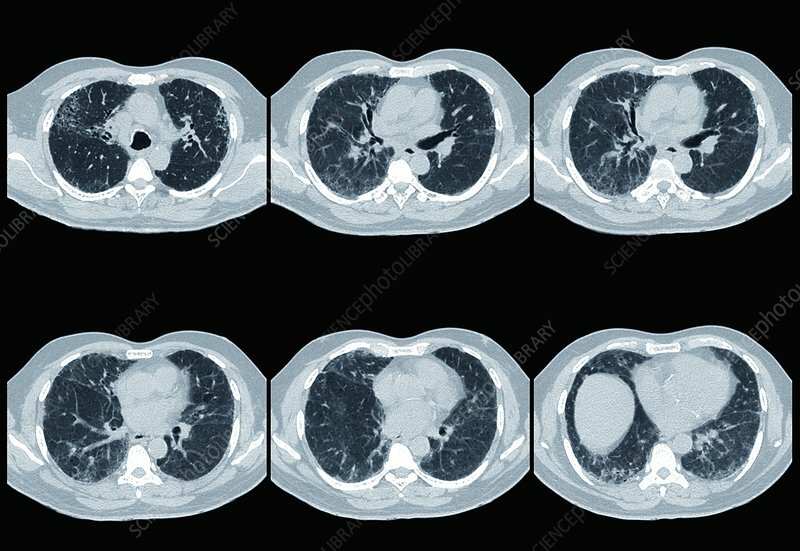 Various microcystic lesions can be seen, along with evidence of localised, irreversible dilation of part of the bronchial tree (bronchiectasis).